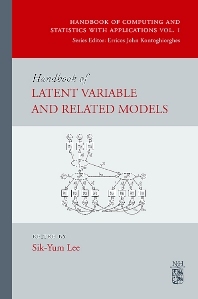 This Handbook covers latent variable models, which are a flexible class of models for modeling multivariate data to explore relationships among observed and latent variables. Includes illustrative examples with real data sets from business, education, medicine, public health and sociology. Demonstrates the use of a wide variety of statistical, computational, and mathematical techniques.